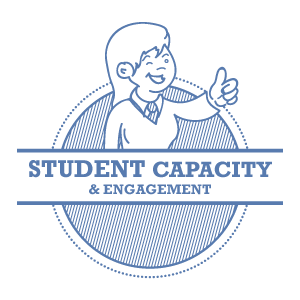 The ‘Student Capacity and Engagement’ stamp provides guidance on how to give students a key role in GCE within the school. This is a vital stamp for empowering students to become global citizens for change! John Magee of Millstreet Community School shares his experience of implementing the Student Capacity and Engagement stamp. Click here to be inspired! There are 3 categories within this stamp. Please click on the category titles below for resources and practical school examples to support and inspire your school to achieve this stamp.